I am concentrating on a certain Bella Barton. I was going to review a Canadian band but, since I reviewed a Canadian artist yesterday; I thought it best to come back to the U.K. and focus on an artist here. I also have a British Urban artist in the diary: she is in my thoughts next week. Therefore, I come to Barton and a song that announces her to the world. I want to concentrate on a number of themes in this review. I’ll talk about getting fan numbers up and building that base; how distinct and colourful personalities can help stand an artist out; soulful sounds and projecting something powerful; music-school training and its relevance; taking a step after the debut single. I want to, first, talk about subject matter for songs. On Daughter; Bella Barton looks at feminism and how to cattail the advances and unwanted leering of men – the plight and problems many young women face. Considering Barton is still a teenager: one imagines, rather worryingly, some of these advances would have occurred when she was under sixteen. It is very clear Bella Barton is a very beautiful young woman: this does not give license to anyone to come onto her and make her feel uncomfortable. I feel a lot of women in the music industry have to write about issues like sexualisation and being reduced to their body. I know many artists who, rather than talking about their lives and ambitions; they have had to address sexism and subjects like this. It is a brave thing to do: especially brave for someone making their first steps into the music industry. Daughter – its title might suggest Barton is someone’s daughter – like many are – so think about that – is a solid and captivating song that strays from the traditional standard. Many artists coming in concentrate on love and relationships. The fact Bella Barton has had to take a profound and conscientious step speaks volumes. She does not see it as a ransom or forcing her hand: a feminist from a young age; the issue of equality and right have always been on her mind. It seems amazing that, as young as eight or nine, the young Barton was aware of gender imbalance and sexism is amazing. Maybe her household was a vibrant source of conversation and intellectual debate. Maybe, looking out at the world, she could see the way things were and, at such a tender stage, knew things had to happen. I am interested in sexism because, as a male writer, few of my peers are tackling it. I will move on to other things but, one thing that music is culpable of, is not protecting female artists. There is too much sexualisation and exploitation occurring. Videos, from mainstream Pop artists especially, can be quite proactive and scantily-clad. Some women project this image as empowerment and independence: too many are doing it to get video views up and attract people to music through sexuality and tease. That is worrying and something, for the sake of the young generations, there needs to be review and intervention. Bela Barton is someone who is comfortable in her body (I think) but does not need to get down to her bra to make her music stand out. I think more men need to get involved in this issue and help fight against sexism. It is no good women solely fighting this concern. If men stand by and do not write about it: does that, by extension, make them guilty and passive? I think there needs to be voices and input from both genders – I do as much as I can but am aware there are relatively few make artists addressing the subject. Daughter is not a full-on attack against men but it does raise interesting debate and thought. It is encouraging seeing a teenage artist emerge into music whose first consideration is not her own love life (in a traditional sense, at least) and the stress of a break-up. Bella Barton is a unique artist and, for that reason, had modest fan numbers at the moment. Barton has been on Twitter and Facebook for a while now but, in my mind, I feel she should have bigger numbers and a wider fanbase. That is not her fault. She is pushing her music and doing everything right. Barton has a P.R. team and management; there are enough people behind her ensuring the music is out to people like me. I feel, because she is a serious and true artist, it’ll take longer to get big numbers in. Let me validate and clarify that statement. By that; I mean Barton is tackling an important concern and feels the fluffier side of music is best left to other people. There is too many who, still, think it is impressive and original singing about heartbreak and common themes. It is more depressing seeing SO many artists take this road. The fact some of the biggest Pop artists have a huge amount of fans is as a result, a lot of times, of discussing something quite tangible and relatable. If they sing about breakups and love: that is going to resonate with a young audience and connect with them. If they sing about feminism and deeper issues in life, then, well…that might not have the same effect. That is a shame and only so because of the way music has always been – the mainstream always prefers something commercial, danceable and accessible. Barton, I am sure, will write about personal pains and love but, on her debut single, wanted to cover something deeper and more important. I feel more artists should take a stand and pen a song like Daughter. Bella Barton does not want to be Taylor Swift or Katy Perry. She is not chasing the cheap and shallow fame but, at the same time, her sheer talent and ability warrant more attention. Maybe that is a sad fact of music: those who aim at teen audiences will get huge numbers; those deeper and more profound will appeal more to an underground and minority. We need to create a new culture where the vacant Pop songs and personality-free artists are restricted to the boundaries – those who are more inspiring and different should be placed in the forefront. Barton is on all the social media/music0sharing sites and has shared all this information with her fans. I worry too many of us are inert and being flooded with artists. I am a fan of Barton but feel, as my timeline is flooded with musicians and their developments, how much time do we have to focus on a single act and promote their music? Will people, seeing endless updates from me – concerning musicians and their new tracks – unfollow/un-friend me? The fact the video for Daughter, at this point in time, has fewer than three-hundred-and-fifty views; twenty-two ‘likes’ and, rather annoyingly, a couple of people who dislike the piece – that shows the gulf between new artists and the established. Daughter is, in every measurable way, a finer song than the latest record from Justin Bieber. She might – I hope not, though – disagree but, when one examines the themes, music; vocals, meaning and potential of the song – that is the conclusion they will arrive at. This subject warrants more examination but I am not sure what the solution is (to getting the fan numbers up). I feel, in time, Barton will be on festival bills and getting huge fan numbers. She is a teenager and still finding her way into music. Daughter has been getting a positive and loving reception. It is the sign of a young and confident songwriter who is already hitting the right notes. I will move on from this subject but, before I go, I would urge anyone out there – usually buzzing around the hive of the big Pop stars – to examine why they do this and the reasons this music appeals to them. I am not saying people should not listen to Pop: there are more compelling and appealing styles of music out there. We need to encourage young listeners to break from the predictable and change their listening habits. Barton offers plenty of brilliant, appeal and nuance on Daughter – why would that be seen as second-best compared to mainstream Pop? In my conclusion; I want to talk about Bella Barton and her official website; her Instagram feed and some great gigs she has coming up. One reason Barton is captivating and appealing is because of her distinct personality. She is very beautiful but, lest we get into shallow and unimportant areas, it is her vitality and colour that strikes the heart. Barton is a pink-haired singer who, in many ways, would suit the peace and eclectic beauty of Brighton. She is based out of South London – and has found a loving home there – but has a vibrancy and variegated makeup that would see her welcomed and comfortable down in cities like Brighton. It is a random aside, but something that occurred to me. One of the biggest issues with the mainstream is the fact so few of its personalities have an actual personality. That is often the result of being manipulated and primed by record labels. Performers are often reduced to cliché quotes and a ruthlessly planned formation. They are rarely afforded the chance to speak out – lest they are condemned and roundly whipped on social media – and are very much kept in their box. Bella Barton is someone who is unafraid to speak out on issues and address subjects like sexism. I feel, if a mainstream star did that, they might receive trolling and controversy. It is a sad sign of our times but I am encouraged there are genuine artists like Bella Barton. For one so young; it would be understandable were she to follow the pack. Clearly; her upbringing and young life has been educated and well-informed. A few weeks ago; Barton performed Daughter, on a warm evening, in France. It seems, already, she has an appealed on the Continent and been able to get her single to foreign audiences. What interests me about this is the fact Barton is someone I can see getting a lot of attention in France. She is an intelligent and cultured woman whose music, whilst deep and serious, has a romance, soulfulness and beauty that only the French can fully appreciate. I stated how Barton might seem at-one in Brighton: a stint in Paris might well suit her and inspire more creativity. I am a huge lover of London – and would be pretty happy to be buried there (dead, preferably) – and think it is the best city on Earth. Bella Barton is a wise and mature soul but one who, definitely, has a zest and curiosity about life. All of this means she is ready-made to inspire the new generation. Completed with songwriting that is capturing hearts and provoking thoughts: how long before she is a big name making waves at the top of music? I hope this happens very soon as Barton, and the way she approaches life/music, is just what popular music needs. I am so attracted to the personality of a musician and what they stand for. One of the reasons I am drawn to artists like Kate Bush is because of what she says and how she conducts her career. Her music is astonishing but I feel Bush is one of those musicians that is equally compelling when being interviewed. One of the first female artists to talk about subjects less-common and rare – equality, women’s rights and topics like childbirth. Bella Barton is another example of someone who can fascinate and seduce when in the interview setting. I will go into more detail on this in the conclusion but, right now, a look at another musical personality. Amy Winehouse is an artist who comes to mind when thinking of Bella Barton. Maybe that is a lazy comparison but, listening to the powerful and potency of the voice, there is a common thread. Barton has acoustic/Folk strands and, in that manner, brings to my mind artists such as Joni Mitchell. The reason I mention these two artists is down to the power of their voices. Barton is not your twee and sugary Pop singer. She does not lazily replicate the best out there. One feels vinyl and a deep love of music was part of her young life: the prodigious musician fascinated and hooked by the queens of music. I am not sure whether Winehouse and Mitchell featured in that rotation – the big albums like Blue and Back to Black. The pink-haired songwriter, on the colour theme, is someone I could see with a big set of headphones on head; scribbling lyrics from A Case of You (Blue) or Some Unholy War (Back to Black). These might seem like random artists but, hearing Barton’s voice – and its topography and lineage – one cannot help trace a line through the legendary American Folk artist and the sadly-missed Soul great. I hear flecks and intimations of Winehouse’s depth and passion. She is a singer who is always going to transfix and compel musicians coming through. The dexterity, stir and tremulousness of the voice is enough to buckle the news. Winehouse wrote most of her own tracks and ensured her songs were delivered with all the power and meaning she could manage. Mitchell, by contrast, preferred a more subtle approach – no less potent and arresting to the senses. It is hard de-composing a voice and what makes it especially great. In Bella Barton; I hear someone whose music tastes extend back to the 1960s and '70s. There are elements of the modern-day best but I sense an older mind that prefers the finest singers of the past. All of this comes through in a voice that manages to elevate the lyrics and ensures they remain in the brain. 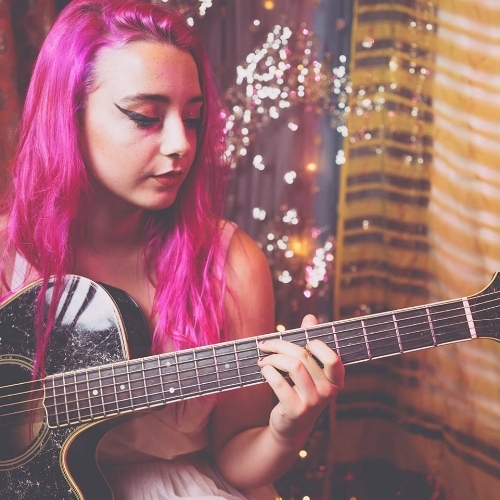 Bella Barton is a BRIT School student who has already won an award for her songwriting. I am not surprised she has won an award but, looking at the BRIT School; it makes me wonder about formal education and intuition. The greatest songwriters, with few exceptions, have always learned music their own way. I have just mentioned Amy Winehouse when talking about fantastic voices: someone who is the BRIT School’s proudest and more acknowledged alumni. I do wonder how much of her talent and vocal prowess was cemented there. Bella Barton is learning a lot where she is and will get a great insight into the music industry. I find musical schools useful when it comes to business and technical sides of music – production and promotion. For someone like Barton, whose voice is already assured and strong, will a facility like the BRIT School mould her a certain way?! A lot the of alumni have forged a unique career-path but there are many, modern stars, that sound similar to what is already out there. I can imagine, in various lessons, there are examples of famous singers who started their life at the BRIT School. It is a contentious issue but I wonder how many music facilities are priming their students to sound what is popular and trending in the mainstream. Perhaps the BRIT School is different but, with former students that include Amy Winehouse and Adele – are they being used as an example how to gain success and stand out? Ironically, that leads to a lot of students who copy their example and sound exactly like them. It is a dangerous thing: students should be urged to following their own instincts and forge their own identity. I know the BRIT School is going to teach Barton a lot that will help her career. She is in London and already has that great base on her doorstep. The BRIT School will provide her advice and ways she can get gigs and push her social media profiles. What I wonder is how much of what she learns will make her stand out from the crowd? I feel Barton is a woman who prefers older acts and has already provided herself a great education. Is the best balance, therefore, spending a year or two at a music-school and supplementing that with some gigging and outside study? I think Barton is someone who will refute the desire to follow another singer too strongly. She will take a lot from the production and technicality side of things – how to add new dynamics to her voice and increase her range. I hope she peruses the producing side of things as that will allow her add her own stamp on music and ensure it sounds exactly as she imagines. It is fair enough having others produce but I imagine Barton turning into a self-produced artist very soon. What interests me about musical education is how it can strengthen sides other than the voice. I worry there are other places, not the BRIT School, moulding their artists to sound exactly like someone else. How much freedom is one given when they are at these places? Barton will learn a lot but I hope she is not being directed to sound like Adele or a star who has earned a lot of money. Music is about survival and how an artist can remain. Is one, therefore, taught how to make money and monetise their career? If that is the case; one feels artists who are already big are going to be used as role models – the alumni stamped in that manner to ensure they are equipped to make a success of their career. Barton is someone who is unique and has her own mindset. I worry she might be influenced too heavily in regards sounding like a modern-day Pop star. I know she will exert control of her own direction but the best thing about her education is how she can expand her range and songwriting skill-set. One will be able to tell when her album, 10 Songs, is released. That album, not a surprise, contains ten songs and will focus on many different aspects. We know Daughter will appear but I am curious to see what other songs are going to make the cut. Daughter is getting a lot of press and is the debut single from the London songwriter. It is an impressive and stunning song and one, as I have explained, is a lot more impressive and important than most songs out there. I can understand why Daughter was chosen as the lead-off single. 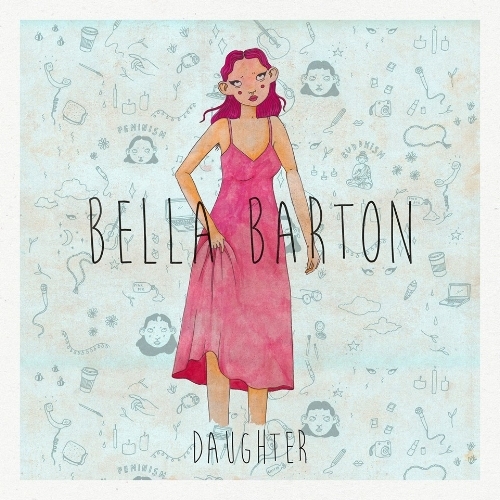 Was Bella Barton to release another song – one that looked at love and predictable fare – it would not have received the same acclaim and congratulations as Daughter. I wonder what the next single would be. One of the reasons I was going to hold off reviewing Daughter was the fact, in the coming weeks, another single might arrive. 10 Songs is out soon and it will be interesting to see what is on the record. Barton will want to release another single or two from it. Given the fact her debut has got a big response because of what it addresses: will her next release follow the same kind of lines as Daughter? Maybe a more conventional song will be released but I am not sure what other subjects will be addressed on 10 Songs. It seems likely there will be more accounts of feminism and equal rights; tackling prejudice but, also, lighter concerns. It is hard knowing whether to release a similar song to Daughter; maybe going in another direction and something that addresses love. I think Barton will release a song that has similar themes and ideas to Daughter. In time, when the album is established; I feel she’ll release more traditional and love-based songs. The debut single is always a risky thing. You are coming into the music world and have to make that instant impression. Do you favour something commercial – that everyone can relate to – or go for something unique and fresh – in the hope people will change tastes and bond to something that is rare and unexpected? It is hard to strike that balance and decipher what the listeners want. Barton has gone for a credible option and, whilst her fan numbers deserve more oxygen and inflation, her instincts have paid off. Following that incredible initial single is a tough choice. I feel Barton will release something very soon – many are hungry to see what else she is concerned with and the full extent of her talent. There is a swing and summery vibe to the opening moments of Daughter. The song is breezy and has a definite Jazz step to it. Reminding me of the greats of Jazz and Soul: the song has a swaying, seductive vibe that seems to fit with the ethos and irony of the song. Barton, in the initial stages, impresses with a voice that really stands out from the crowd. Her tones have a silkiness and maturity; there is gravel and chocolate-deep ones – balanced against a sweetness and sense of youthfulness. She has been compared with Amy Winehouse and Lily Allen – these are quite apt names. The former, in terms of her soulful depth and incredible passion: the latter, the sense of rebellion, independence and accent – one can hear distinct London tones emerge in the performance. The song looks at a man, driving past, who catches Barton’s eye. By that; he is someone who leers and is shouting abuse at her. Whether it is offensive or perverted; one senses a discomfort and alarm in Barton’s voice. She is used to this and wants it to stop. It seems to be part of her everyday life and she wonders why certain people would shout something sexual and someone so young. Barton, strumming guitar and allowing her voice to weave and swim, closes her eyes as she travels down a busy street – not wanting to see how close a man is; someone who is making advances. The anxiety she feels/felt comes out in the performance. One can imagine the scenes and portraits of life for a teenage Barton. The chorus is the most striking and unsettling part of the song. The vocals are repeated, elongated and vibrated: creating a lightness, sense of detachment and uplift. That is not the intention, mind you. Barton projects the words this way because it makes the word sound even more striking and shocking. The men who perpetrate such fowl deeds are old enough to be her dad. Would they subject their own daughter to such abuse?! The irony is, if a man were to do the same to their daughter; I am sure they would track him down and do something unspeakable! It is hard to tear one’s self from the song as it makes you imagine these scenes and the looks on faces – how Barton copes with this pressure and what the men look like. It seems, luckily, she has not been exposed to the worst eventualities of these creepy men – the language is raw but she has evaded any physical attention, I hope. What we do know is these cat-calls are not one-offs. Maybe it is the part of the world she lives but one feels there are men like this all over the country. It has been happening “since the age of thirteen”, as Barton explains. These men come over and make eyes. They speak sexual innuendos and filthy rhymes. None of these are necessary and not welcomed by Barton. Nowadays, I think a few sexual comments like this would constitute grooming. One could be arrested for the things Barton had to endure through her early teenage time. Now, she has that pink hair and a very standout look. Does she get the same level of attention because she stands out from the crowd? She is a very beautiful woman so it is natural men of a certain age (her own age) are going to show her some attention. Is she still getting cat-calls and insinuations from older men?! It makes me wonder because Daughter seems to have relevance today – she has not escaped from the clutches of this perversion. She is still a teen and still the right age to be the daughter of a middle-aged man. It is impossible escaping the ghosts of artists like Amy Winehouse and Ella Fitzgerald. There is modernity in the performance but, especially in the chorus, one detects a definite Jazz and Soul influence. I can see Daughter becoming popular in French bars and coffee shops at night – there is a certain vibe and romance to the song that would appeal to the French. The fact the subject matter is quite raw would not offend them at all. They are open-minded but not a race who would ever tolerate the kind of things Bella Barton has had to face. The chorus is extended and almost becomes a mantra of delirium. The word ‘daughter’ is repeated and it seems to be something haunting her mind. One imagines Barton might say this to a man that approaches her – the only response she could give is a scared and tired realisation she is young enough to be his child. Maybe she has been cornered and made to feel that uncomfortable. Barton’s debut single has two sides to it. The music has a charm and skip to it that would seem perfect for festivals and the sunshine: suitable for evening walks and small crowds in bars. On the other side of the coin is a vocal and set of lyrics that talk about something very serious and unnoticed. Few people are tackling the way young women are devalued and abused on the street. They are degraded and demeaned for the simple pleasures of men. Many would put this into a song angry and harsh. Bella Barton ensures Daughter is accessible and has an appeal to it. The fact one can sing the chorus and it is memorable means its message and core gets into the head a lot quicker than other songs. It is important that realisation and matter get into the brain and onto the tongue. If people, though the simple act of singing the lines, can make others aware of the sworded problems girls face – that can make a difference and make others vigilant. In the final stages – as the chorus keeps its repetition going – we hear snatches of Barton speaking. Words about her age (being a child and someone’s daughter) add a straightness and conversational element to the song. By the end stage; one has a lot to chew over and has witnessed a song among the most relevant and crucial of this year. A fantastic offering from a wonderful and rare talent in music. “I had already been catcalled and wolf whistled at in my school uniform while walking to school but had never been followed by a middle aged man until I turned 14 and I was on my way to my friend's house. I didn't know how to deal with it, if I should ignore him or confront him etc because I was extremely scared. We had never been taught about this at school, so we definitely hadn't been taught about what to do in this situation. This is something I wanted to let people know about, so I went on Radio 4's The Listening Project after being followed/sexually harassed in the street almost every day for a year, and discussed how common it was for me and all of my female friends. Soon after this I was invited to a select committee in Parliament with a group of girls of different ages and we spoke to seventeen MPs about it - I remember pointing out that it seems that many people (from my experience of talking about this topic) always want to defend men in this situation, which is strange to me. For example, the response I often got was 'but boys get cat-called too'. I found this interesting as of course men go through the same thing, but statistically a huge amount less than women do. So, I wrote my single 'Daughter' about these experiences and the awful environments they put vulnerable girls in”.